Biomodels offers a wide variety of behavioral tests for the purposes of testing compound efficacy and toxicity. Behavioral testing is useful in examining treatment for neurological disorders. Which tests to employ are dependent on the disorder of interest as well as the scientific question a researcher is aiming to answer. Biomodels can assist in determining the most appropriate behavioral test to use and can design new models, as needed. Behavioral data is collected using automated systems and analyzed by trained scientists familiar with the paradigms. Motor coordination, motor learning and physical condition are assessed by RotaRod. Animals are placed on an elevated horizontally oriented dowel. The dowel rotates at a predetermined speed, acceleration, and maximum duration or until the animal falls from the dowel. Latency to fall for each animal is measured on every trial. Performance is commonly measured over the course of multiple days with repeated trials per day. The open field test is one of the most widely used procedures in behavioral testing. This versatile test captures measures of anxiety-like behavior and motor activity. Spontaneous activity in the open field is considered a measure of motor function. Where the animal spends time in the open field is considered a measure of anxiety. Rodents have a natural aversion to open spaces and tend to prefer the areas close to the walls of the apparatus. 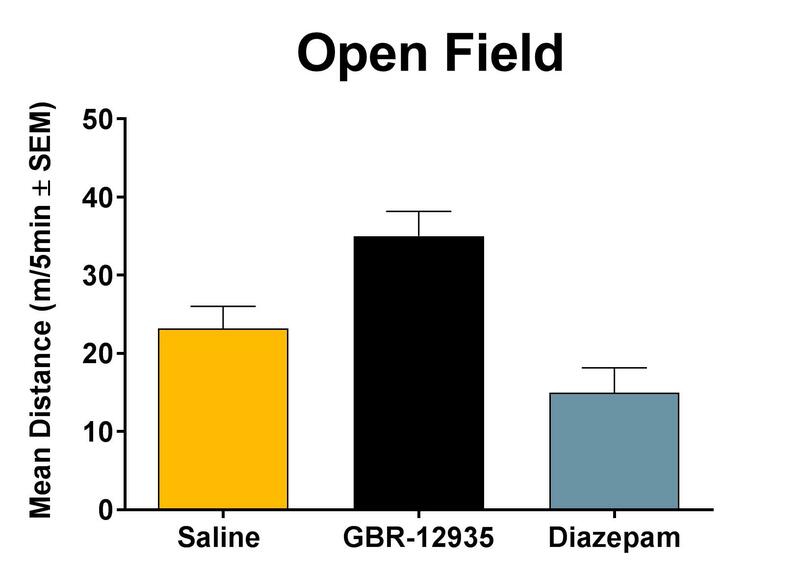 Anxiolytic compounds will increase time spent in the middle of the open field. 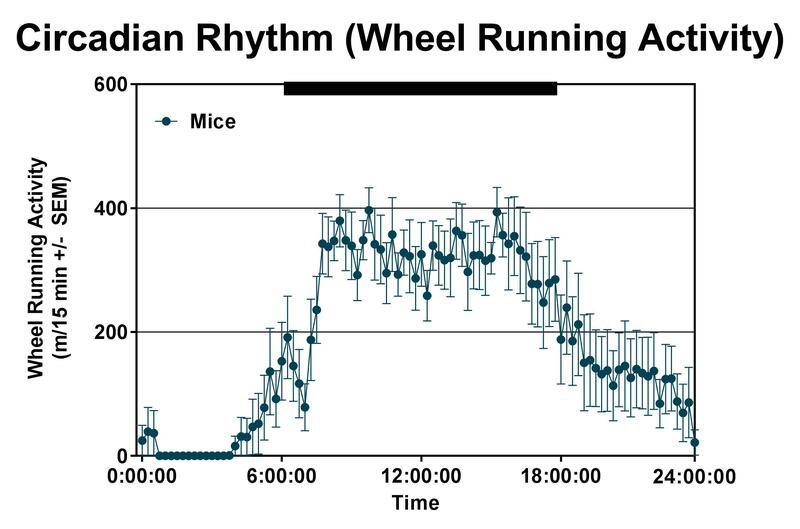 Rodents show a strong circadian rhythm in voluntary wheel running behavior. Wheel running activity is monitored over several days or weeks for the purpose of assessing drug effects on exercise behavior. Wheel running measurements may be used in studies of toxicity, circadian rhythm, and voluntary exercise. The use of video tracking to monitor an animal in the home cage is a non-invasive method of assessing activity. Activity measurements are useful for a number of endpoints including assessing fatigue, general health, and stimulatory/depressant actions of compounds. Animals are individually housed in custom built home cages conducive for video tracking. 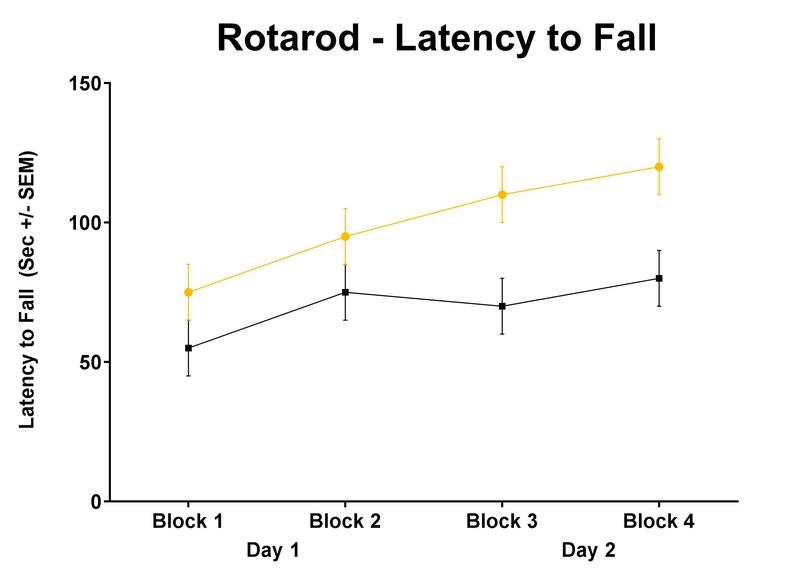 Activity is tracked by software and locomotor activity can be assessed. The object recognition test is a method for testing memory in rodents. The test works by capitalizing on the tendency for rodents to have a natural affinity towards novel objects when placed in a novel environment. The test requires that the animal notices when an object changes shape or location upon returning to an environment that previously contained two novel objects. If the animal spends more time by the objects that have changed shape or location, they are thought to have noticed the change and remembered the previous environment. Animals are placed individually into a novel environment and following a short habituation, animals are removed and two identical objects are placed in the box. Animals are then returned to the box and allowed to investigate the novel objects for a short period of time. Animals will again be removed and one of the objects will be replaced with a new object or one of the objects will be moved to a new location. Animals will be returned to the box and allowed to investigate both objects. Their activity is monitored using video cameras interfaced with video tracking software. Time spent investigating the objects is measured. The social approach test is a test of sociability in rodents. Deficits in social functioning are a feature of many debilitating diseases including depression, agoraphobia, and autism. Animals are placed in a three-chamber box. During habituation sessions, the apparatus will be empty and the session will last no longer than 15 minutes. During test sessions, the middle chamber will be empty, while each of the other chambers will contain an inverted metal wire pencil cup. Underneath one cup will be a conspecific animal, while the other will remain empty. Time spent in each chamber, distance traveled, and orientations to each cup will be automatically measured using video tracking software. Each test session lasts 10 minutes. Fear conditioning is a commonly used procedure to test learning and memory in rodents. Briefly, the test examines the animals’ behavioral response when placed in a previously aversive environment in order to deduce if the animal remembers the environment. If the animal freezes (instinctual fear response), it is inferred that the environment was recognized and the previous experience remembered. Mild electric shock is the standard unconditioned stimulus for this assay. The fear conditioning procedure will occur over two sessions: The first session will be a training session in which the animal is placed into a novel chamber (32 x 28 x 30 cm) with opaque walls and a metal bar floor. The floor will be connected to a shock scrambler controlled by a timer capable of delivering small electric shocks (no more than 0.7 mA for 2 sec duration). Mice/rats will be placed in the chamber for no longer than 7 min and will receive no more than 5 foot shocks during the training session. The second session will be the test session and will occur no sooner than 30 min following training. Mice/rats will be returned to the training apparatus and allowed to explore the environment. No foot shocks will be administered during the test session. Locomotor activity and freezing behavior will be automatically recorded by TopScan video tracking software.